Adoption of a new confession is a rare event in the history of the church. 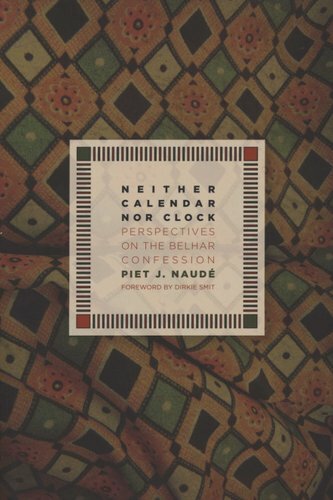 Neither Calendar nor Clock tells the story of the Belhar Confession, adopted in draft form in 1982 by the colored Dutch Reformed Mission Church in South Africa. Piet J. Naud here examines how churches both inside and outside South Africa reacted to this new confession. 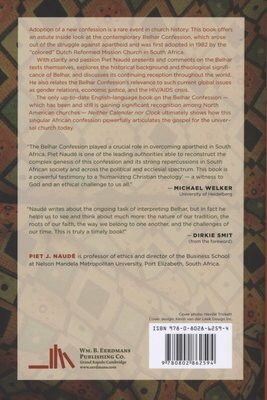 He further considers the question of how an African confession speaks in the twenty-first century by reinterpreting Belhar through its three middle articles unity, reconciliation, and justice and relates it to contemporary issues like gender rights, HIV/AIDS, and economic justice. To understand the no of the confession, Naud analyzes the theological ideology against which Belhar witnessed. To give insight into the yes of the confession, he draws out the link between Belhar and the apostolic faith of the ancient Nicene creed. In so doing, he reveals how this African confession is important for the universal church today.